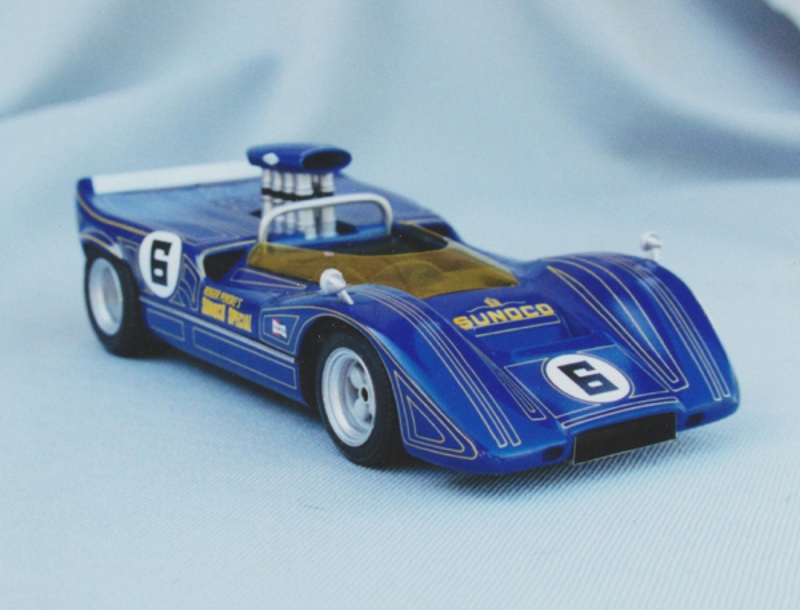 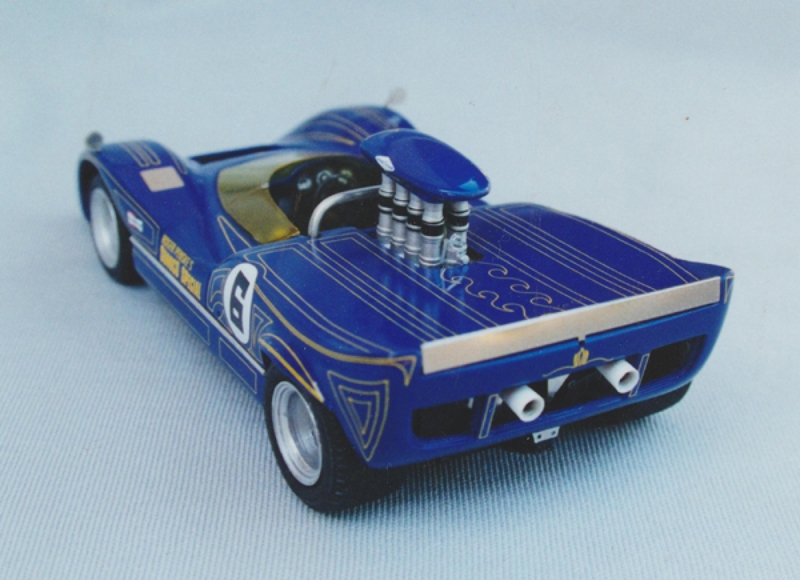 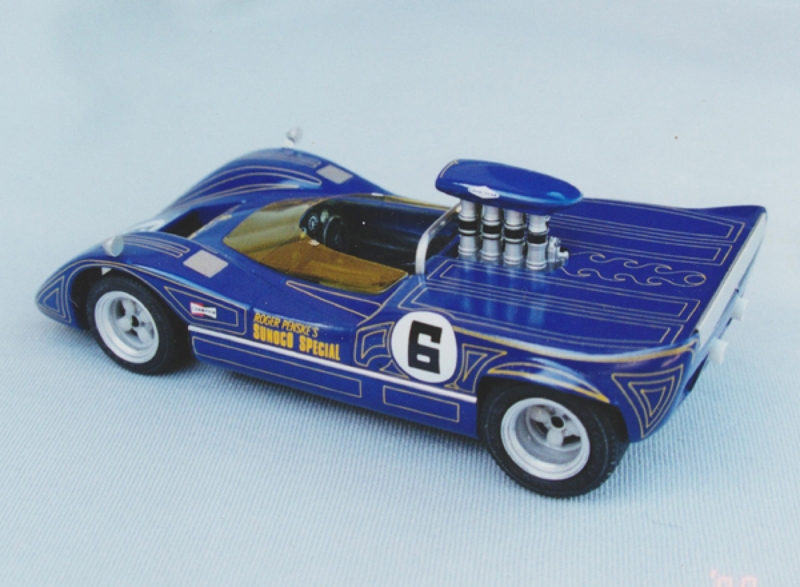 A treat for the Can Am fan, this kit builds up into a stunning model of the M-6B as modified by Roger Penske and Mark Donohue for the Can Am series. 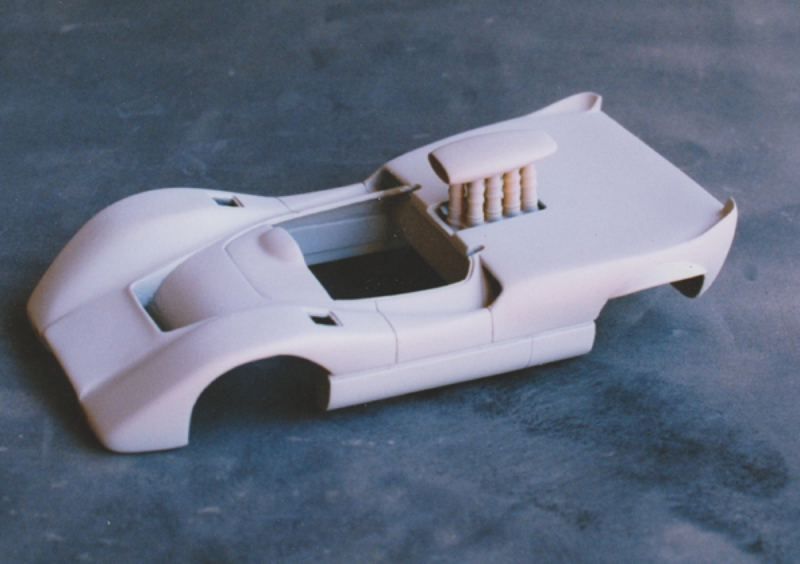 The body work has been faithfully altrered as per the original, being 8 inches wider and lower along with the wild injection trumpets and air scoop. 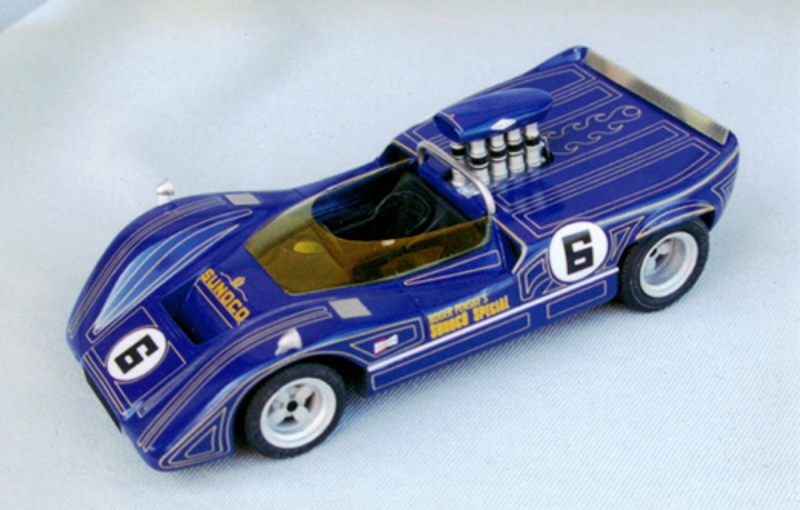 The glorious Sunoco paintjob is made easy with decals for all the pin-stripes and the interior tub is photo etched, as are many of the detail bits.Sure to be a head turner in any collection, and a great subject for a contest build.